TechGuard™ lockers provide an advanced, individual locking and charging solution for Chromebooks, tablets, phones and personal devices. 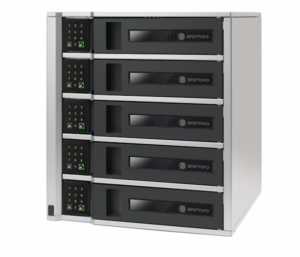 Individual storage and charging lockers, each handling up to three mobile devices: Chromebook notebooks, tablets, or phones. Perfect for schools, businesses and healthcare settings where personal storage and charging are needed. It can be used to support BYOD and 1:1 initiatives, as well as visitors and convenience charging. Bretford’s advanced electronic design provides a touch keypad and LEDs to identify locked or available bays. Each bay has an AC outlet and two USB ports, each providing up to 2.4A. Management keycards allow for administrative access with or without code resets. 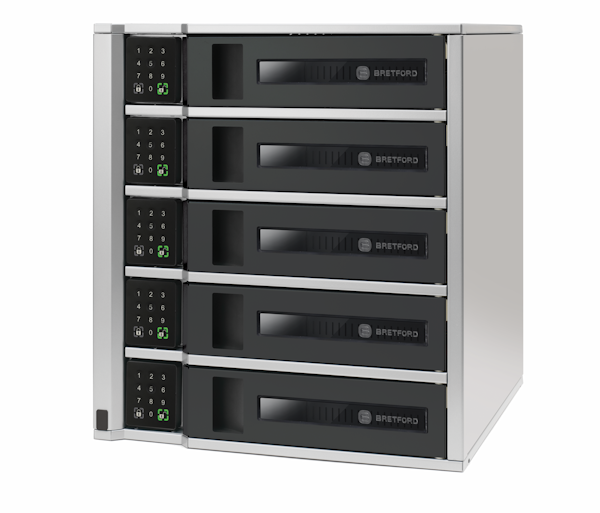 They can be provided in one-, five- and ten-bay configurations. We are proud to offer the TechGuard™ locker: the most advanced, versatile locker solution on the market.